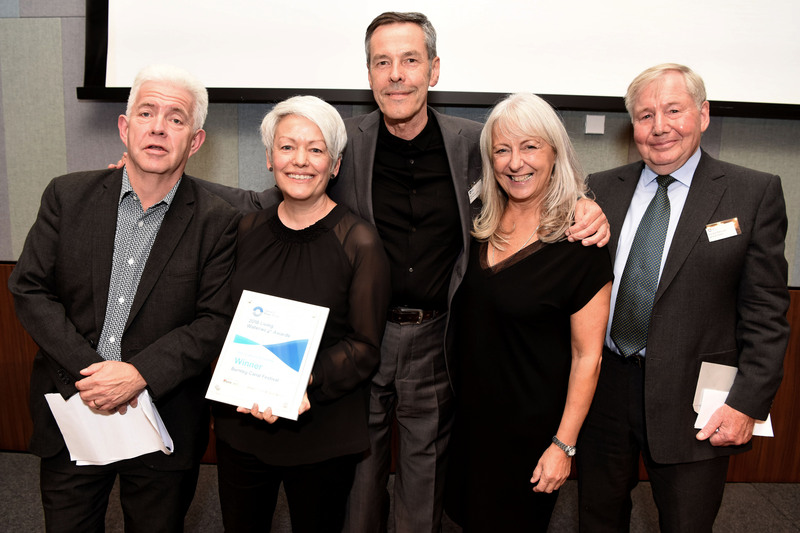 MPA’s Nick Hunt and Melanie Diggle plus Super Slow Way Director Laurie Peake headed to Birmingham in September to represent the Burnley Canal Festival partners at the Canal & River Trust national Living Waterways awards. We were delighted to win the Arts, Culture & Events category against some strong competition. 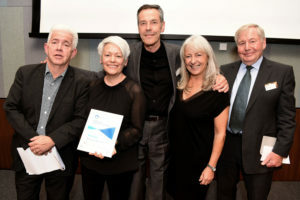 There was a lovely touch of serendipity in the presenter for the event being writer Ian McMillan, as Ian was involved in MPA’s canal based project to celebrate the millennium, Canal2000, and he is the man behind the poem that gave Super Slow Way its name!